I feel really proud of what my mum did, it gave me comfort. Jo Galloway has experienced tissue donation from both a professional and personal point-of-view. Jo is an administrator in NHS Blood and Transplant´s National Referral Centre, which uses specially-trained nurses to approach the families of potential tissue donors and gain their consent. However, Jo found herself being asked to make that decision when she lost her mum Doreen Morris to cancer in 2012. The night before mum died I picked up her purse and her donor card fell out. Devout Catholic Doreen, who was 67, was strongly in favour donation and, with Jo´s blessing, her corneas were successfully transplanted to the eyes of two people, helping to restore their sight. Jo, who has worked in NHSBT´s Tissue Services division for 10 years, said: "My mum was on the Organ Donor Register and we talked about it when she got ill. She said that she wanted to donate after her death and would have donated anything she could. 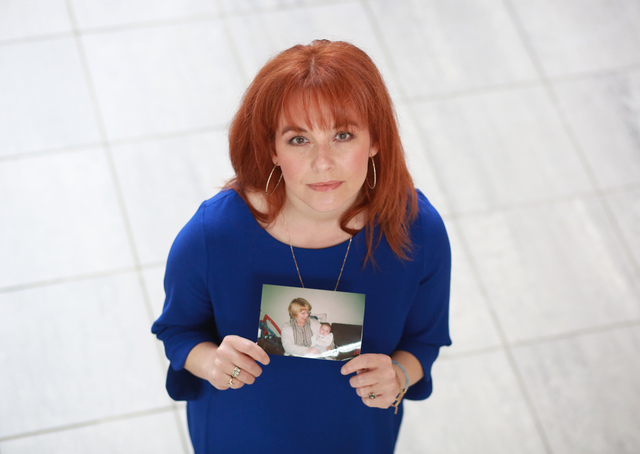 "The night before she died I picked up her purse and her donor card fell out. I took that as a sign and my brother and I agreed that we should go with her wishes." There are now two people walking around somewhere with a much better quality of life. Jo said: "I feel really proud of what my mum did and it gave me comfort. It´s hard to find positives when something so awful happens to you but we were fulfilling her wishes and there are now two people walking around somewhere with a much better quality of life. "My grandma was partially-sighted so I can appreciate what a gift it is." Have you been inspired by Jo and Doreen's story? Sign up to donate your organs.